Welcome to PlaysetParts.com! We are experts in play, having been selling playground equipment for over 20 years, and specializing in the parts and accessories for over 15 years. 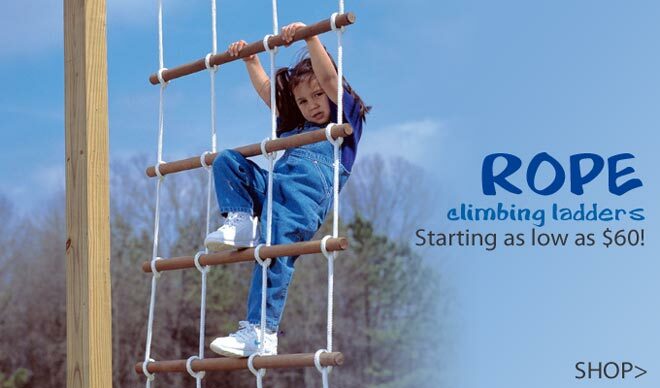 Here you will find a wide variety of swing set accessories and parts from our online store. Swings, slides, hardware, climbs, you name it! 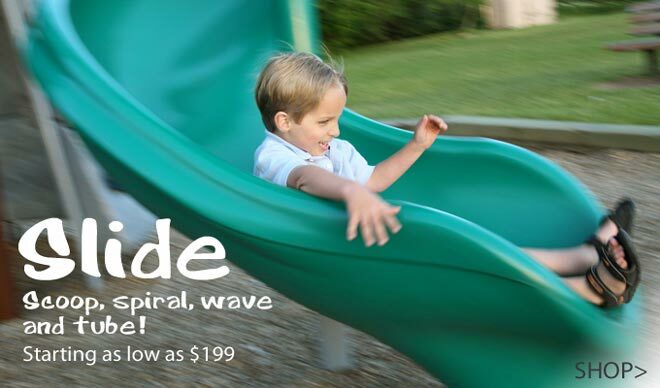 Browse our selection and find all the playground parts you need right here! Residential items for the do-it-yourselfer, and commercial grade items for all manner of park, school, and daycare installations. We are committed to providing safe, quality swing set equipment and parts at guaranteed lowest prices. We will happily match—and beat by 10% of the difference—any competitor's prices. Most items ship within two business days from your order date. Even better, we offer Free Shipping on ANY order over $75 shipping to the contiguous USA.